The name "derby cocktail" has been used for a number of cocktails over the years. Most often, it is made with bourbon whiskey—most likely due to an association with the Kentucky Derby—though there is one common variation that features gin. They're all fascinating drinks that are worthy of a taste and, with options so diverse, there's sure to be a derby cocktail for any mood you find yourself in. 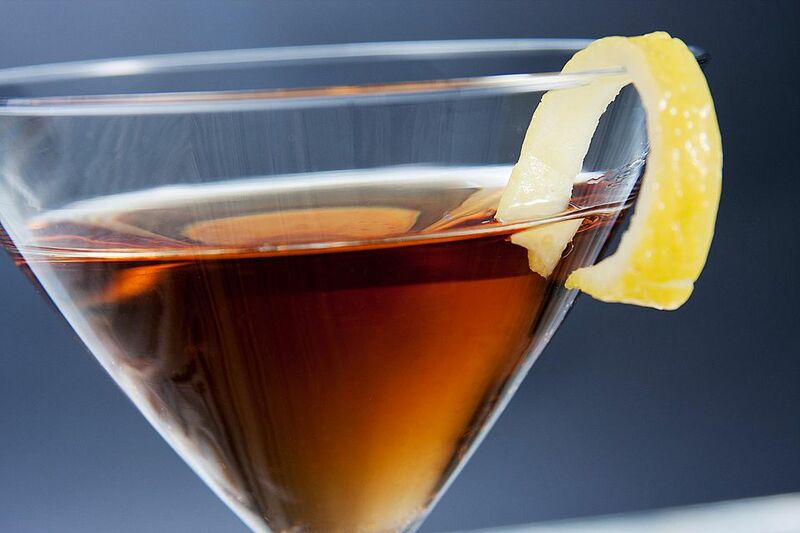 The (arguably) most popular derby cocktail has a Manhattan style, though it uses Benedictine instead of sweet vermouth. The liqueur's honey and herb flavor is a delightful switch, transforming the popular whiskey aperitif into more of an after-dinner drink. Pour the whiskey, liqueur, and bitters into a cocktail shaker filled with ice. Choose top-shelf liquor for all the derby cocktails to get the best-tasting drinks. With any of these cocktails, you'll find them most enjoyable when served in a chilled glass. If you forget to freeze one beforehand, place a few ice cubes in the glass while you're mixing up the drink. Dump them before straining. The other popular whiskey derby cocktail has more of a whiskey sour style. It comes from Trader Vic's 1947 "Bartender's Guide", though even he could not agree on a single recipe because the book includes three different derby cocktails. This version combines 1 ounce of bourbon with 1/2 ounce each of sweet vermouth and orange curaçao, and 3/4 ounce lime juice. It's shaken and strained into a cocktail glass, then garnished with a lime wedge and/or mint. A gin-based derby cocktail is listed in "The Unforgettables" category on the International Bartenders Association (IBA) website, though its origins are not entirely clear. To make it, stir 2 ounces of gin with 2 dashes of peach bitters and 2 sprigs of mint (no muddling, which is unusual for the herb) in a mixing glass with ice. Strain into a cocktail glass. A sprig of mint is used as the garnish. How Strong Is a Derby Cocktail? The Benedictine and gin derby cocktails weigh in at a hefty 32 percent ABV (64 proof), placing them among the strongest cocktails you can mix up. That's with an 80-proof whiskey or gin, too. If you're inclined to choose a stronger spirit like Knob Creek or Navy-strength gin, the drinks could easily top 80 proof. In contrast, the sour derby cocktail's alcohol content should be in the 19 percent ABV (38 proof) range.